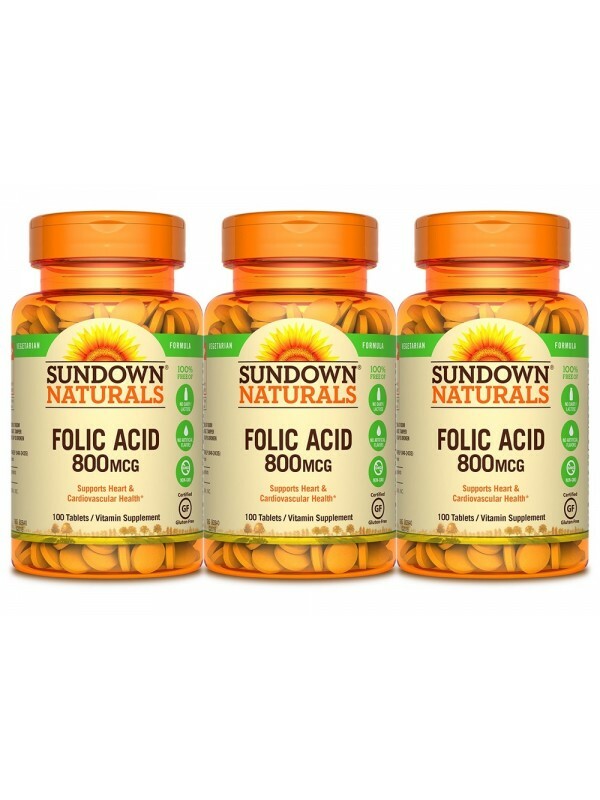 Folic acid is an essential B Vitamin that supports heart health. * In addition, women who consume healthful diets with adequate folic acid may reduce their risk of having a child with birth defects of the brain or spinal cord. 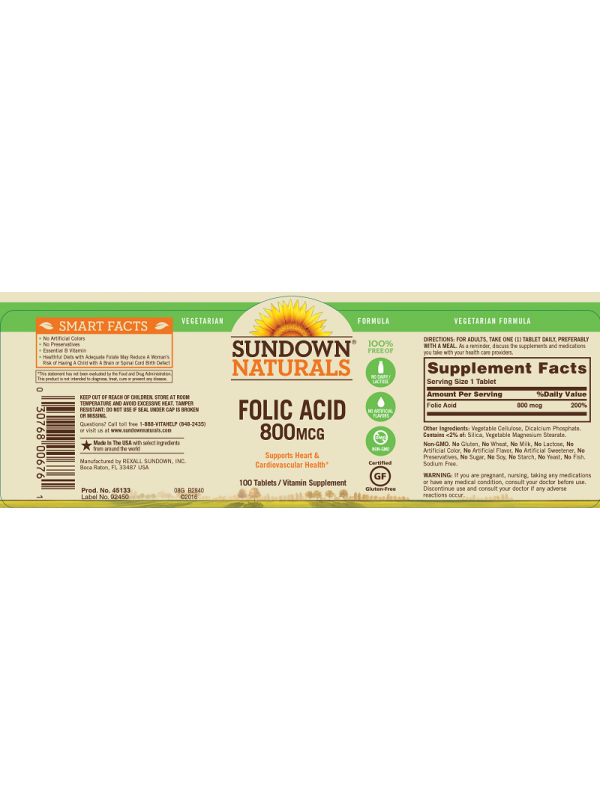 Folic acid intake should not exceed 250% of the Daily Value (1,000 mcg). FOR ADULTS, TAKE (1) ONE TABLET DAILY, PREFERABLY WITH A MEAL. As a reminder, discuss the supplement and medication you take with your healthcare providers. WARNING: If you are pregnant, nursing, taking any medications, planning any medical or surgical procedure or have any medical condition, consult your doctor before use. Discontinue use and consult your doctor if any adverse reactions occur.